Skrill Ltd (to 2011 Moneybookers) is a UK online payment method with mobile service, which has access in 200 countries in 40 different currencies. This international money transferring system is safe and easy for both merchants and online betting purposes. Skrill restricted to use their service to a list of countries that includes residents from USA, Israel, Afghanistan, China, Turkey, North Korea, more. Nowadays Skrill is famous among gambling sites. Moreover, it services own matched bonuses and promotions for gamers worldwide. Recently, Skrill was bought by Neteller Ltd. what allows them to integrate into one powerful online payment service that is much convenient to gamblers worldwide. Sing up advice. 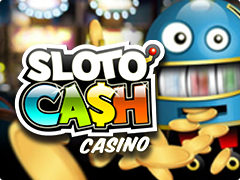 During the registration, it is better to enter your account in USD or Euro, as all online casinos take wagers in US dollars and European gambling houses accept Euro. You can hold the multi-currency account in the case you're at least silver level customer or better. As a matter of fact, cooperation with many online casinos, Skrill payment service provides a simple usage, reliable paysafe, quick and easy payment gateway integration. Let’s look at the Skrill review that will be interesting for all professional gamblers and for those who look for the handy way to make purchases in online stores like Ebay or Amazon. With Skrill online payment option you can deposit money into your gaming account whenever you are. Just use Skrill app on your own device. Skrill mobile is an option of sending and receiving money via your email. Be sure to refer to use your payment account in Skrill money transfer method, aimed at gaming as it is required by the UK lawmaking. Then give additional information about yourself, passport and e-mail, that in future will be your e-wallet. Thus, you have the complete banking system with all your payments data in the pocket and may sell, buy in online shops and stores or play and bet at online, mobile casinos or bookies. Deposit into Skrill. Several ways are always available to deposit to Skrill account and withdraw your cash, of course, with transaction fees. Depositing in the system to a bank account you can do without any fees, but to Visa Classic, Mastercard with 2,5% fee. One more point, Skrill doesn’t accept a gift or prepaid cards because they don’t have a personalization. Cash out from Skrill. Withdrawals are also easy as pie and made via bank transfer, credit or debit easy to get Visa and Mastercard cards. Charges depend on the way you choose and range from €1.80 to €3.50. The max sum depends on the chosen way of money withdrawal and your status account. Withdrawal limit is up to €5000 per a single transaction using Visa cards. Pay attention to the fact that within last 6 month if you don’t have an activity to your Skrill e-wallet (no deposits, withdrawals), you are able to pay inactivity about €20 per month. Register your Skrill account right now, pay and play easy and safe! The choice is yours! You are always able to use Skrill alternatives that are found here.